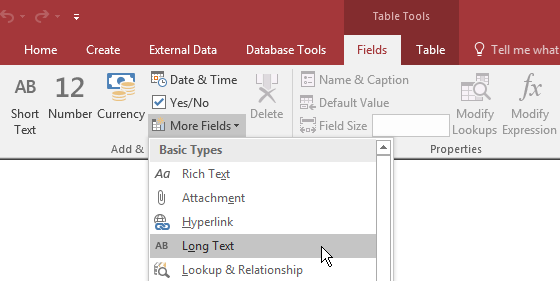 To assist you with common text fields, Microsoft Access provides many options in the Datasheet View. To use one of them, on the Ribbon, click Fields, in the Add & Delete section, click More Fields. 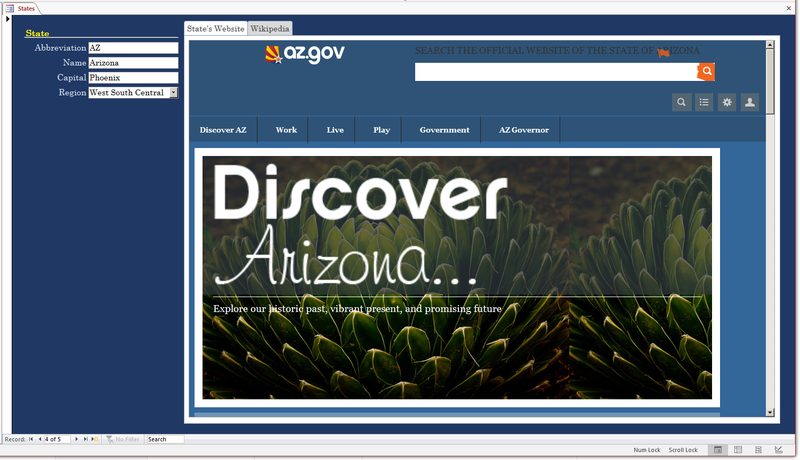 In the Quick Start section, click the desired option. 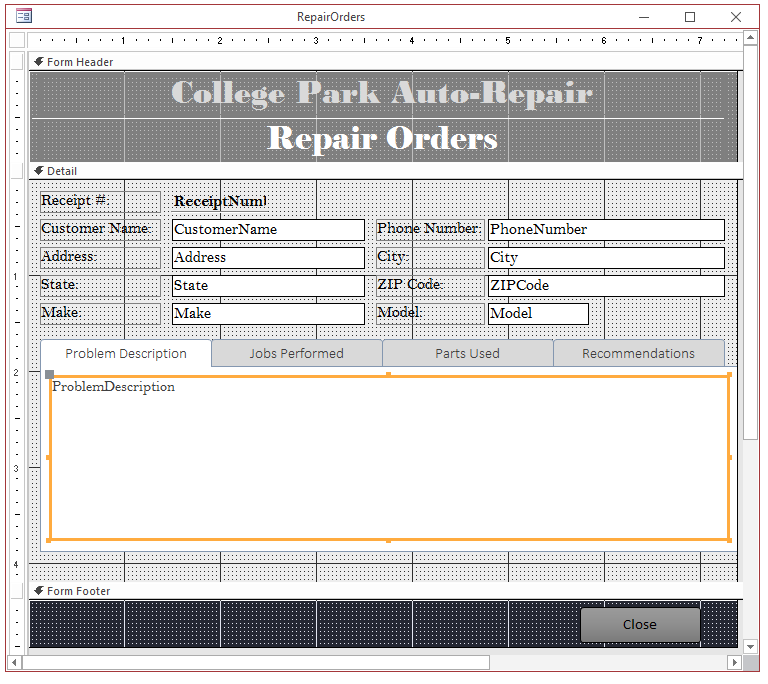 If some columns exist already, to insert a text-based field between two columns, click the column header, or a cell under the column, that will precede it. On the Ribbon, click Fields. If a column has been created already and it is using a data type other than Short Text, to change it, click its column header or a cell under its column. On the Ribbon, click Fields. 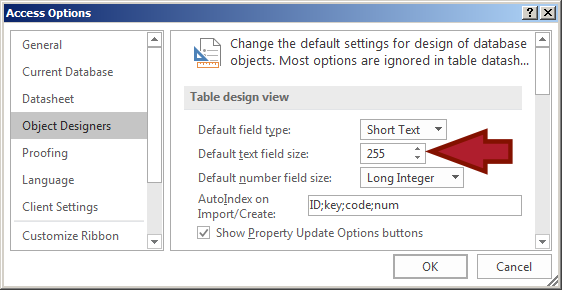 In the Formatting section, click the arrow of the Data Type combo box and select Short Text. As we have seen in previous lessons, after creating text-based field, you can add it to a form or report, in which case it would be used as a text box. 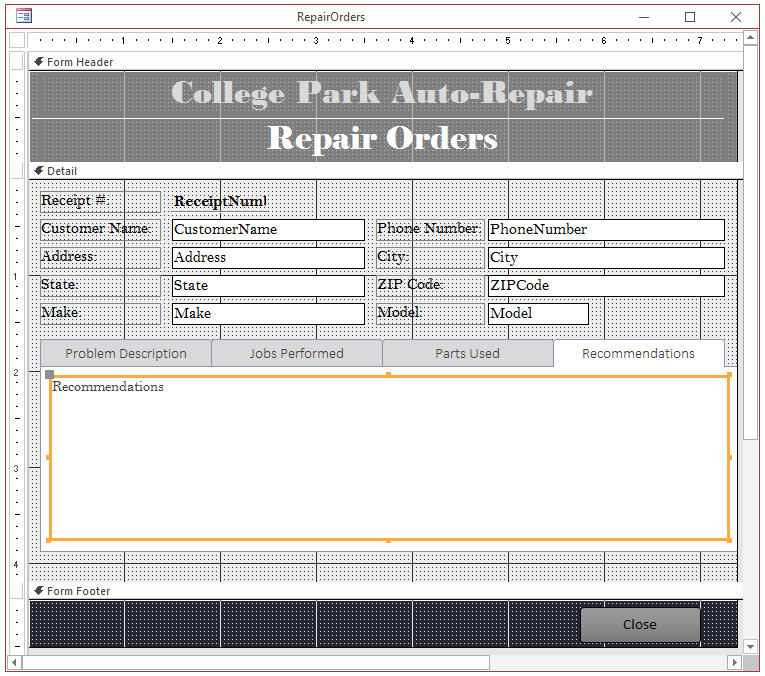 A text-based column can also be used in a form or report as a combo box or any text-based control. To indicate or specify the value of a string, put it between double-quotes. 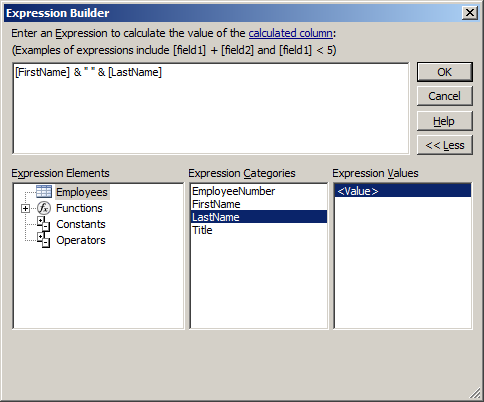 As mentioned in the previous lesson, you can create an expression-based column on a table. The expression can include only constant values, only constant strings, only columns names, or a combination of those. In the Design View, in the top section, click the name, data type, or description of the column. In the lower section of the table, click Field Size and type the desired number. 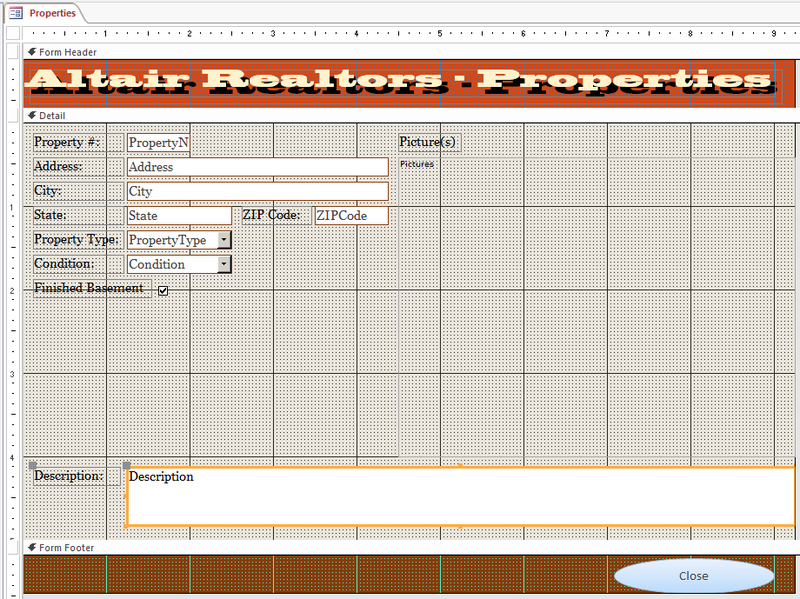 After setting the Field Size property, the database would make sure that the user can only type so many characters. When calling this function, pass a string etween double-quotes or the name of a control. The function then produces the number of characters in it. A mask is a technique of creating sections, also called placeholders, in a field. A section can be configured to accept only a letter, only a digit, a character or a digit, any symbol, nothing, or a particular character that the user cannot change. Microsoft Access supports two primary categories of masks: implicit and explicit. An implicit mask is one that is comtrolled by a data type. 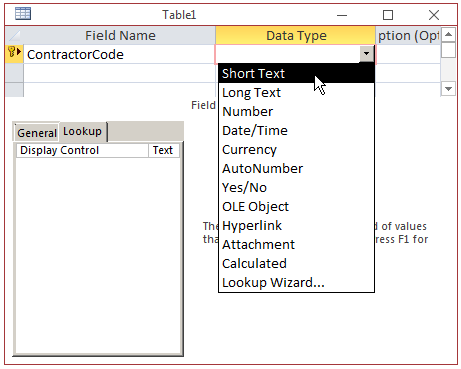 This means that, if you set a certain data type to a field, Microsoft Access can make sure that only valid values can be entered into the field. An explicit mask is a field that is made to control what value is entered into it. When creating the mask, you will use some predefined characters and create a combination of your choice. A mask, or the type of mask, depends on the data type of the field. You can create the mast for a field of a table or for a text box in a form. If you create the mask for a field in a table, when that field is added to a form, the mask will apply. If you change the mask of an existing field of a table after that field has been added to a form, the text box of that field will not be update on the form. You can either delete the text box on the form and re-add it to the form, or you can create the mask on the form. 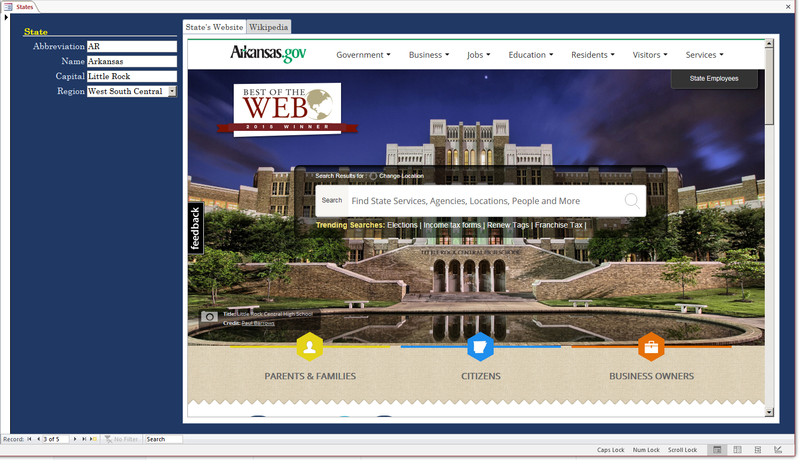 In both cases, the field will be equipped with a browse button: . Before creating a mask for a field, Microsoft Access comes with various pre-defind masks you can apply to a field. Masks are available for dates, times, US Social Security Number, currency values, etc. 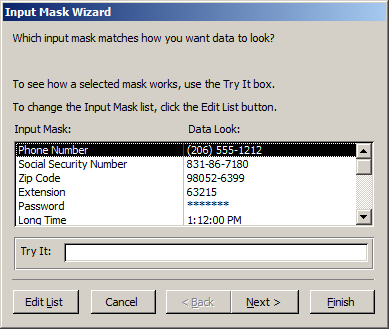 To help you apply one of these masks, Microsoft Access is equipped with the Input Mask Wizard. To open it, click the Browse button. By default, the Customize Input Mask Wizard offers four already created masks, including US/Canada phone number, US Social Security Number, US ZIP Code, and telephone extension number. You can check them by click the Next Record button in the bottom section of the dialog box. To create a new mask, click the New (Blank) Record button . After creating a new mask, you can click Close. If you want to include a word or sentence as part of the mask, type it in any section as desired. One value can be the name of a field and the other a constant value or both values can be the names of fields. Just as you can involve two values in a concatenation, you can also use more than one. To concatenate more than two strings, use as many & operators between any two values or expressions as necessary. This would display a complete address in a field. The original string is passed as argument to the function. The function then removes any empty space from the left of the string and then the function returns the resulting string (without any space from the left section). If the original string does not have any leading space, the function would return the same string. The string is passed to the function. The function then removes empty spaces, if any, on each side, and the function returns the new string. The third argument is optional, which means you don't have to provide it. If you want to influence the way the comparison is made, you can pass the third argument with one of the following values: -1, 0, 1, 0r 2. This function takes two arguments. The first argument is a string. The second argument specifies the number of characters to be considered from the first argument. This function takes 3 arguments with 2 required. The second argument is the string to be examined. In it, the function would look for the character or string of the second argument. If you don't pass the first argument, the function would start from the beginning string of the second argument. If it finds it, it returns the position, a number from where the string2 string was found. If it doesn't find it, it returns 0. In this case, the function would look for s in Elisabeth. If it finds it, then it replaces it with z. If its doesn't find, it would not do anything. By default, or in the absence of the other arguments, the Replace() function examines the Expression argument from start to end. If you don't want to consider all characters, you can pass the 4th argument to specify from what position of the Expression to work on. Then, the function would consider characters from that position to the end. If you want, you can ask the function to consider only a certain number of characters. To do this, pass a 5th argument as a number. A piece of text is long if it is less than or beyond 255 characteristics. Actually, a field made for long text can hold 1 to 64000 not-formatted characters. 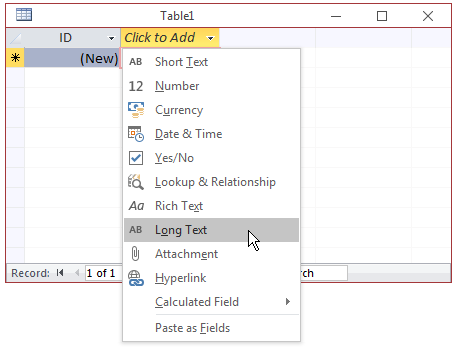 To support such long text, Microsoft Access provides a data type named Long Text. A long text is primarily a text-based object. It shares some characteristics with the short text but it also has some unique behaviors. After creating a long text field in a table, you can add it to a form or report. Such a text box would be equipped with the necessary characteristics such as an appropriate height and a vertical scroll bar. Of course, you can change them. On the other hand, you can click the Text Box control from the Ribbon, add it to a form or report, and use it for a long text. Because it is made for long text, a text box for a long text should have an appropriate height. It should also be equipped with one or both scroll bars. One of the features that sets a long text-based text box apart from the short text one is that the user can press Tab in the long text wihout moving to the next control. Also, the user can press Enter in a long text to create a different paragraph. New England New England is the group of states in the North-East region. It is delimited in the North and North-East by Canada, in the East by the Atlantic Ocean, and in the South and West by the New York state. New England is one of the regions defined by both the Census bureau and the federal government agencies. Mid-Atlantic Mid-Atlantic is is a region situation in the south of New England. Mid-Atlantic is one of the regions defined by the Census bureau for statistical purposes. East North Central The East North Central region includes the states around the Great Lakes. West North Central The West North Central region includes the states in the Great Planes area. This reqion is divided from the East North Central part by the Mississippi River. This region is characterized by vast agricultural farms and high employment. South Atlantic The South Atlantic region includes the states in the South-East part but also counts the Disctrict of Columbia. East South Central The East South Central portion is one of the regions designated as the South. West South Central The West South Central part is one of the regions with (only) four states. The imposing Texas is both the largest (by itself larger than the other three states combined) and the most populous (its population is higher than those of the other three states combined) state in the region. Mountain Like the name suggests, the Mountain region covers states known for their mountaneous characteristics. They are also covered by desertic areas. Pacific The Pacific region covers the costal western states plus the two non-continental states of Alaska and the Hawaiian islands. All states in this region have a coast on the Pacific Ocean.